What an incredible win it was for Chris Lynn and his side in the last game. They thrashed Melbourne Renegades by 101 runs to win it comfortably. It was strong comeback from the side after they had been defeated by the same team in their previous game. The batsmen and the bowlers played their part well in the last game to earn a comfortable win for the side. Their poor show at the start of the season had put immense pressure on the side and they can’t afford to lose too much from hereon. But having got the combination right Lynn would be hoping to win the next game. At the moment the opening pair of Brendon McCullum and Max Bryant looks unstoppable and they would like to give the team the same kind of start in the next game. At No. 3 Chris Lynn looks in sublime form which adds confidence to their batting. Ben Cutting, Matt Renshaw and Alex Ross make the best middle order for the side with good hitting capabilities. It was great bowling performance in the last game and the skipper would be hoping for the same from the side in the upcoming game as well. Matt Reneshaw and Mujeeb Ur Rahman bowled miserly spells. In Josh Lalor, Brendan Doggett and Mitchell Swepson they have good wicket taking bowlers. Shane Watson would have been relieved to win the last game against Adelaide Strikers. Prior to that game the side seemed to have lost its way in the middle and had just one win in five games. And the manner in which they defeated the strikers would give the team of lot of confidence going into the next game. They batted well and their bowlers finished the job clinically. Watson would know the importance of the next game as they are currently sitting in the second place at the points table and would like to retain it at the end of the next game. Anton Devcich did well to replace Jos Buttler in the last game and Shane Watson has proved that class doesn’t die with age. They make a strong combination at the top. The middle order is also good with Daniel Sams and Jason Sangha showing good form. The only worrying factor is Callum Ferguson’s inconsistency with the bat. In Jay Lenton and Chris Green they have good hitters at the bottom. The bowlers are shaping well especially Fawad Ahmed and Chris Jordan. Arjun Nair bowled well in the last game and so did Chris Jordan and they would be looking forward to bowling well in the next game. After the lackluster start to 2018-19 BBL Brisbane Heat finally seem to have got their house in order and look like a good unit. They would look to defend their home fort when they take on Sydney Thunder at the Gabba. For Thunder it was a turnaround in the last game after having been out of form in the middle of the season. 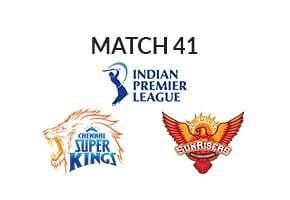 The two sides have good players in their ranks and given the points table pressure they are up against we would definitely have a competitive game of cricket. Based on form and momentum and the fact that they are playing in their home Brisbane Heat would start ahead of Sydney Thunder in the next game.